Prof. Bookhart joined HKUST in August, 2013 as senior manager and Head of the university’s Sustainability Unit to develop the university’s first comprehensive sustainability master plan (the HKUST 2020 Sustainability Challenge), which has since been incorporated into the university’s Five Year Strategic Plan. Focusing on the four key challenge areas – operations, education, demonstration, and community networks – Bookhart serves as the steward of the Plan’s implementation. He serves as secretariat for the Sustainable Smart Campus as a Living Lab initiative, is Chair of the Task Force on Sustainability Progress within the HK Sustainable Campus Consortium, was appointed to the Environment and Sustainability Committee for the HK General Chamber of Commerce, and serves as Advisory Board member of the Association for the Advancement of Sustainability in Higher Education (AASHE). Bookhart teaches classes on sustainability management and sustainability thinking, both of which train aspiring students the skills and mental framework for solving complex problems in the 21st century. 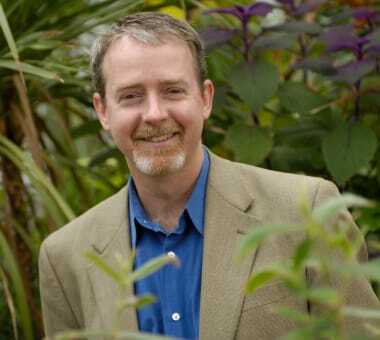 Bookhart came to HKUST after eight years as the director of the Office of Sustainability at Johns Hopkins University. As founding director, Bookhart built the office to focus on integrating students and faculty into campus sustainability projects while embedding sustainability into campus operations, policies, and procedures. Before joining Johns Hopkins, Bookhart founded Charm21 – Clean and Healthy Air through Renewables in Maryland – a non-profit group advocating the use of renewable fuels in the Baltimore region, and was senior project director of the public interest group Consumer Energy Council of America. In 2008 Bookhart was appointed by the Baltimore Mayor Sheila Dixon to the city’s Sustainability Commission. Bookhart holds a master’s degree in International Affairs from the Fletcher School of Law and Diplomacy at Tufts University and a master’s of American Literature from the University of North Carolina at Wilmington. 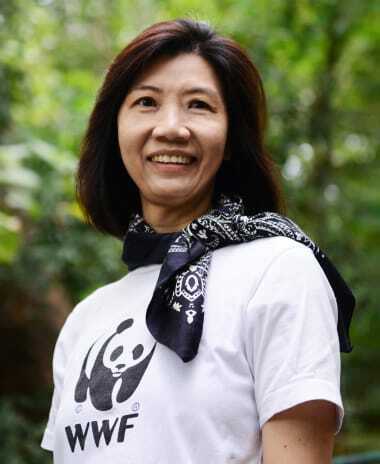 Karen Ho is the Head of Corporate and Community Sustainability for WWF-Hong Kong’s Climate programme. She works on climate and energy issues in Hong Kong and China, engaging with businesses and industries across the spectrum to initiate, lead and oversee the development of climate programmes. An accomplished senior executive, Karen held senior management positions in several Fortune 500 companies prior to joining WWF. 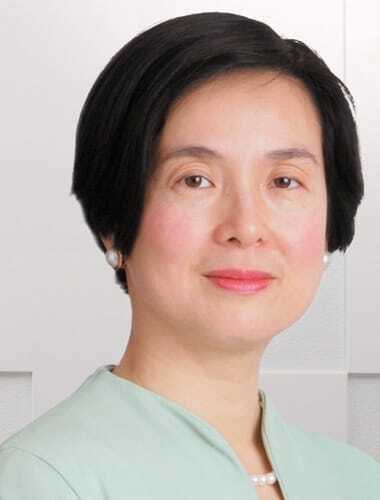 Katherine Lau is the General Manager, Corporate Quality & Sustainability of Fuji Xerox (Hong Kong) Limited. Overseeing the operations Lau dedicates to deploy Total Quality Management through Japan Quality Award framework and Sustainability through the realization of its company vision to be a "Good Company". Lau holds a Master degree in Quality Management, a Bachelor degree in Business Communication, an advanced IEMA approved Environmental Management System auditor and a certified Six Sigma Black Belt. She is one of the Board of Examiners of the Hong Kong Management Association Quality Award since 2007, the Sustainability Committee’s member of the Hong Kong Management Association, and a member of the advisory group for ESG, Waste Management and Energy of Business Environmental Council in 2013-2015. She had more than 15 years' experience in the quality and sustainability field. With her leadership, Fuji Xerox (Hong Kong) has successfully developed a quality and sustainability oriented culture and won over 100 prestigious quality and sustainability awards. Prof. Lo is currently the Head of Department of Government and Public Administration at the Chinese University of Hong Kong. His main research interests are in the areas of corporate social and environmental responsibility, law and government, environmental governance, and public sector management. He offers consultant services and organizes management training programs for the business sector. Prof. Lo served as an adviser to HSBC for reviewing their business sustainability strategy in 2010. Recently, he has been promoting CSR as a business model that permits corporations and SMEs to achieve business sustainability through the launch and compilation of the Hong Kong SME Business Sustainability Index and the Hong Kong Business Sustainability Index. 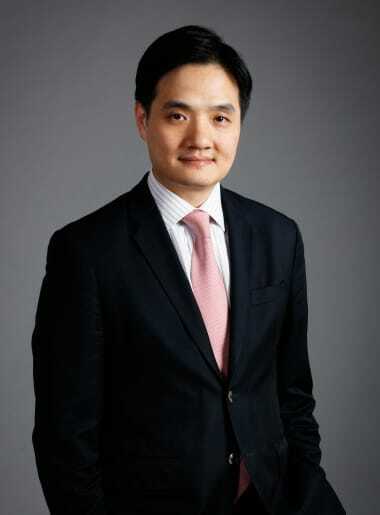 Eugene Tang has been a financial journalist since 1994. His career began in his native Malaysia in a reporting role for The Edge weekly newspaper straight after graduate school. On the eve of the first Asian Financial Crisis in 1997, Eugene joined Bloomberg, where he subsequently spent 14 years in real time journalism, working in Kuala Lumpur, Shanghai, Tokyo and Beijing. He expanded and managed Bloomberg’s China news bureaus in Beijing and Shanghai 14-fold over a decade. An opportunity arose in 2011, attracting him to lead the development of a Chinese-language news product for Dow Jones & Co., publisher of the Asian Wall Street Journal. Eugene subsequently spent four years developing a range of news products including Dow Jones’ Chinese FX & Fixed Income News, and Factiva. In July 2016, he joined the South China Morning Post to manage the newspaper’s Business section. Mr. Stephen Wong received a B.A. Degree in Economics from the University of Chicago, Phi Beta Kappa, and an M.A. Degree in East Asian Studies (Whitney and Betty MacMillan Center for International and Area Studies) from Yale University. Since then, he worked for a number of global financial institutions, including as an Executive Director in UBS (London) and a Managing Director at RBS. 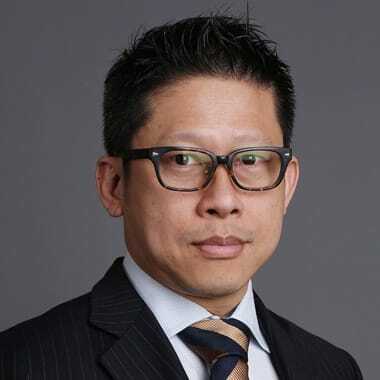 Mr. Wong joined Our Hong Kong foundation as Senior Consultant in May 2015, and was appointed Deputy Executive Director and Head of Public Policy in November of the same year. He is now Deputy Executive Director and Head of Public Policy Institute. Mr. Wong’s public service includes various advisory roles appointed by the Hong Kong Government, including Member of the Financial Services Development Council, Member of Task Force on Land Supply, Sub-committee Co-opt Member of the Sustainable Development Council, Member of Investment Committee of the Beat Drugs Fund, Member of Investment Sub-Committee of the Housing Authority, Member of Feasibility Study Working Group of “Special Needs Public Trust”, Co-opted Member of Social Innovation & Entrepreneurship Development Fund Task Force of Commission on Poverty, and Non-official Member of the Assessment Panel of the “Innovation and Technology Fund for Application in Elderly and Rehabilitation Care” of the Social Welfare Department. Dr. William Yu is Chief Executive Officer of World Green Organisation (WGO). Dr. Yu is an energy economist and climate professional by training and completed his PhD at the University of Cambridge as well as earned an Executive MBA degree from the Thunderbird School of Global Management in the U.S. Additionally, He has gained valuable regional management experience by working at US multinationals. 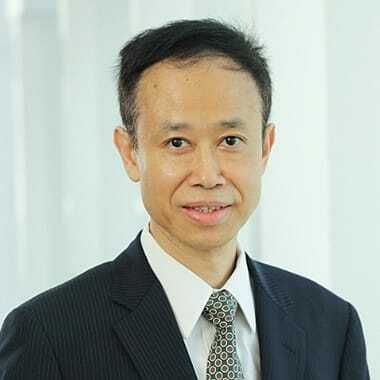 Dr. Yu is currently the Adjunct Professor of the City University of Hong Kong and the Honorary Corporate Adjunct Professor of the Shanghai University. Currently, Dr. Yu is the Task Force Member (Green Business; Digital Economy) of The Economic and Social Commission for Asia and the Pacific (ESCAP) Business Advisory Council (EBAC) of United Nations. He sits on the Energy Advisory Committee and the sub-committee on Food Reduction Good Practices in Institutions and Commercial and Industrial Establishments, Food Wise Hong Kong Campaign under the Environment Bureau, Hong Kong SAR Government. Dr. Yu is also a Steering Committee Member of FOOD-CO​ of the Social Innovation and Entrepreneurship Development Fund. 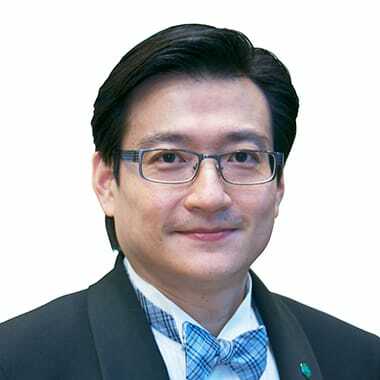 He sits in the working group of Sustainability Charter, Hong Kong and Malmo, Sweden​, and is a member of the expert panel on Industry Standards and Research under The Hong Kong Green Building Council. Dr. Yu belongs to the Air Quality Objectives Review Working Group - Energy and Power Generation Sub-group of Environmental Protection Department. Dr. Yu has served as Board of Director of Hong Kong Institute of Social Impact Analyst. He also serves as Assessor Chair in Green Healthy & Creative Living Stream, The Hong Kong ICT Awards, OGCIO, HK SAR Government. Dr. William Yu is the former Head of the Climate Programme at WWF-Hong Kong and responsible for leading both public and business engagement programmes. He writes articles for multiple newspapers on the low carbon economy, low carbon city, social innovation and energy poverty. He was a co-host for an environmental program on numerous TV and Radio Channels. Wendy W.Y. Yung is an advocate for good corporate governance in Hong Kong. Prior to founding “Practising Governance” (「良治同行」) for this cause, Wendy was Executive Director and Company Secretary of Hysan Development and played a key role in developing and implementing its well- recognised corporate governance practices. Over the years, her responsibilities have spanned human resources, corporate communications, as well as commercial operations. Wendy is a member of the Securities and Futures Appeal Panel, Standing Committee on Company Law Reform, and a co-opted member of the Audit and Risk Committee of the Hospital Authority. She is also a member of the Professional Accountants in Business Committee of the International Federation of Accountants, whose focus areas include governance, risks, and sustainability. She served as a member of the Listing Committee of the Stock Exchange of Hong Kong Limited in 2014 to July 2016. First trained as a solicitor, Wendy also qualified as a certified public accountant and a chartered secretary in Hong Kong. 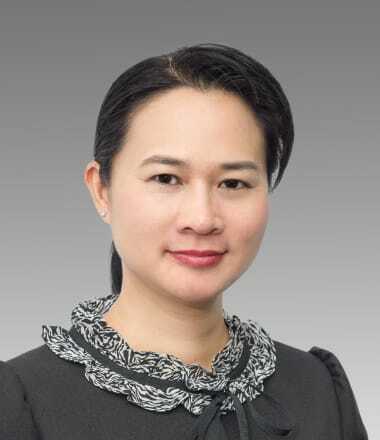 She is a co-opted council member of the Hong Kong Institute of Certified Public Accountants (2016-7), and a council member of the Hong Kong Institute of Chartered Secretaries respectively. She graduated with First Class Honours in Law from Oxford University, United Kingdom.